3 FRANCKEL & PLEVY, LLP cases make the Top New York Verdicts & Settlements Lists! 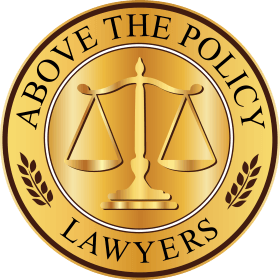 New York’s HURT911® Accident Lawyers FRANCKEL & PLEVY, LLP was named the 44th fastest-growing law firm in the US! Philip Franckel was accepted as one of AIOPIA’S 10 Best in New York For High Verdict & Settlement Attorney for Personal Injury. Phil Franckel forces a shelter to return a woman’s dog. Attorney Phil Franckel, Esq. was enraged when he saw a News 12 and CBS News story about Linda who was hospitalized and came home four months later to find her dog, Luna in a shelter which refused to return her. The shelter owner stated on TV, “There is no way that family is getting their dog back!” Phil Franckel represented Linda for free and was at Linda’s home on August 5, four months after this ordeal began, when Luna finally returned home. She went right to her favorite spot on the couch! Philip L. Franckel, Esq., of FRANCKEL & PLEVY, LLP, has been selected to the 2015 list as a member of the Nation’s Top One Percent by the National Association of Distinguished Counsel. Philip L. Franckel, Esq. was appointed to the Board of Directors of the New York State Trial Lawyers Association. Mr. Franckel was sworn in by Judith Ann Kaye, Chief Judge of the New York Court of Appeals. Mr. Franckel served as a member of the Board of Directors until 2005.